First and foremost, on behalf of all in BTP Federation I would like to take this opportunity to once again congratulate our own PC Wayne Marques GM, PC Leon McLeod QGM and PC Charlie Guenigault GM of the Metropolitan Police. This month they visited Buckingham Palace with their loved ones to receive their medals from Her Majesty The Queen; Wayne and Charlie receiving the George Medal and Leon the Queen's Gallantry Medal. We all know how courageous these three officers were during the horrendous terror attacks at London Bridge and I am sure you will all join me in congratulating them on their honours. Just days after their visit to the Palace, all three officers spent time with the widows and mothers of fallen officers from Northern Ireland. The women were in London for an annual event hosted by the Police Federation of Northern Ireland, the Federations of the City of London, Metropolitan and Kent, and ourselves. It was an absolute privilege for everyone to be able to express gratitude and share in Wayne, Leon and Charlie's moment of recognition. After the announcement was made that full integration was to be paused, the Cabinet Secretary Mr Yousaf stated his intention to meet and consult with all stakeholders, including the Federation, to discuss potential future options and report back to the Justice Committee prior to the December recess. Since then we have attended two further Joint Programme Board meetings. BTP, Police Scotland, BTPA and SPA have been tasked to review and re-visit the original Option 1 (devolution via administrative means) to determine if this could be implemented by April 2019 and meet the principles of devolution. That's in progress and we anticipate an update next month. A stakeholders meeting has been arranged in Edinburgh on 6 November 2018. Invitees include BTP, BTPA, Police Scotland, SPA, trade union representatives, Train Operating Companies, ORR, HMICS, Scottish Government, DFT and Dr Kath Murray and Dr Colin Atkinson. This meeting will be opened by the Cabinet Secretary who will map out his and the Scottish Government's aims and ambitions for railway policing in Scotland. The week before the stakeholders event I will meet with the Cabinet Secretary and will hopefully be given the opportunity to share the concerns of our members in Scotland and across the Force. The opportunity to speak with Mr Yousaf s encouraging, nonetheless, I will repeat what I have said previously: time is of the essence and our officers cannot continue to live under a cloud of uncertainty, not knowing what the future holds for them. The decision to pursue full integration resulted in officers experiencing anxiety and uncertainty for nearly three years. Civil servants tasked with advising on delivering full integration have failed not only the Scottish Ministers, but the travelling public, the people of Scotland, Train Operating Companies and finally our own hard working BTP officers and staff. There was no business case, no operational or economic requirement for full integration and no understanding of the cost or the risk, hence why we have reached a point of having to re-visit options submitted three years ago. This is the perfect opportunity to ensure that the full facts and risk are well known and understood by all parties including those in Government, so a viable option can be delivered to the satisfaction of everyone. We must encourage the advisors, consultants and civil servants to finally start listening to the experts and that practitioners are given a fair and proper consultation process to aid and assist in delivering a devolved railway policing service. Of course, we will work with stakeholders to achieve the principles of devolution, but I will continue to question the viability of any suggestion that full integration should still be considered and will petition that it is taken off the negotiating table and the poorly written legislation repealed. Furthermore, we will continue to invite BTP/A to focus on Scotland and to provide extra investment and development opportunities to assist our people to do what they do best across the railway. I will continue to encourage Ministers, civil servants and other stakeholders to ensure that the interim measures to address accountability are detailed, evidence-based and fully costed, and urge them to support BTP by investing in and developing railway policing in Scotland. I remain optimistic that we are witnessing a move in the right direction and let's hope that this common-sense approach continues. Business in Scotland needs to get back to normal and our frontline officers should have the opportunity to focus on their vocation of delivering an exceptional policing service. We attended the last NNM at the beginning of the month and welcomed Debi Rouse to the role of Deputy Chair of the BTP Federation. During the meeting there was healthy debate regarding the proposed changes to the Machinery of Negotiation in relation to who should chair the meeting. This proposal has come about following the appointment of the Director of People and Culture, Rachel Etebar. We welcomed Rachel to the force but could not accept the proposal that she should replace the DCC at the National Negotiating Meeting. We insisted that we retain the attendance of a senior Police Officer whilst still welcoming Rachel's attendance and input. Thankfully it has been confirmed that both the Director and the DCC will attend the NNM's. I have since met with Rachel and she is keen to work closely with the Federation. There were lots of positives that I took from this meeting especially around her approach towards officer's welfare and wellbeing, communications and visibility of senior members of COG/SMT to the frontline. I look forward to working with her and offering assistance where possible. The long-awaited Limited Duties policy was discussed at NNM and is now with the Director of People and Culture. Allard and Ors payments were also discussed. Issues with HR resources means this has taken longer than planned, but we have been reassured that payments will be made as per the judgment. We also spoke about the standard of the accommodation at Northwick Park. There is now a reporting process in L&D where officers can report any concerns/issues and hopefully the complaints will be then be addressed immediately. Finally, the newly amended Annual Leave policy was discussed. This policy is in draft form and the Federation has been given the opportunity to comment on the proposals. The policy is awaiting further consultation with the TSSA union before it is sent to the Force Executive Board for consideration. This is an excellent example of how changes to terms and conditions should follow the Machinery of Negotiation and be consulted on through the NNM. This is the correct process and I am delighted to say that this approach is now becoming common practice, as opposed to suddenly seeing new policy or changes to policy without any consultation. You will also have seen the announcement from PFEW regarding seeking a Judicial Review and legal action against the Government for ignoring the advice of the Independent Pay Review Body. This is the second year the Government has ignored the advice from the body it formed following the demise the Police Negotiating Board. 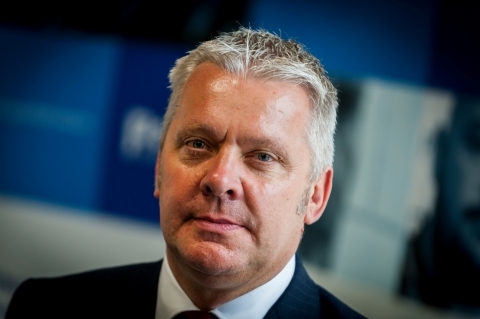 As you know BTP Federation are part of the UKPRF and we have had discussions with PFEW Chair, John Apter, about BTP's pay parity and on how decisions made affecting Home Office forces impacts on us and CNC. We welcome PFEW's decision and back this approach, and will continue to work with them in an attempt to compliment and support their efforts. Staying with pay, from next month you will notice a small increase in the cost of your Federation subscription of 50 pence every four weeks (£6.50 per year). This is the first increase in the subscription rate since 2009 and it isn't a decision we have taken lightly. It arises from steady increases in legal fees (criminal, misconduct and civil), our utility bills and rent. You can read more about our decision-making here. It has now been confirmed that the 2018 pay award of 2% will take effect from November 2018. The increased subscription rate will also apply from then. Most of you will also be aware of the well-publicised decision regarding the displaying of poppies on BTP vehicles. We spoke to DCC Hanstock about the rationale for the decision and followed this up in writing. He has responded with a detailed explanation which has been shared with all members of the Federation. Although many of us may not agree with the decision, as serving officers we must accept that senior managers can make unpopular decisions. I understand the decision has caused some resentment, but we must remain professional in conveying our views. I am satisfied that BTP will uphold its custom of paying respect and officers will lay wreaths at key locations associated with service personnel who worked on the railways or in transport policing. The Force will also attend the remembrance parade at the Cenotaph on Remembrance Sunday. While the decision has been taken to not place poppies on police vehicles, this doesn't prevent any of us from wearing a poppy, paying our respects and marking the Armistice Centenary. This brings me to our visit to Belfast at the end of last month. We joined families, colleagues and senior officers from across the UK to pay our respect to fallen officers at the National Police Memorial Day service. It was and will always remain an absolute honour for this Federation to represent BTP and all our colleagues at the NMPD this year in Belfast. Next year the service will be held in Scotland and if any officers are considering raising money for charity please can I respectfully request that you give consideration to the NPMD charity. The service provides great comfort to families whose loved ones lost their lives in service of others. Last but not least I would like to thank everyone who nominated colleagues for a Federation Award of Excellence. We received many examples of excellent work and it is a shame we can't pay recognition to you all. Our awards panel reviewed the nominations this week and after much debate we have identified the seven award recipients. Those winners will be informed over the next couple of weeks and I personally look forward to meeting them all at conference in Edinburgh next year. It is always a proud moment to present an award and shake the hands of hard-working officers who go that extra mile to get the job done. Well done to all but a very big well done to those selected for the awards. "The hardships that I encountered in the past will help me succeed in the future".